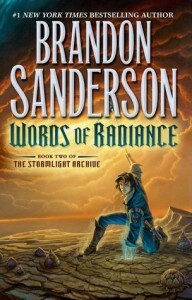 I guess, first things first, Brandon Sanderson is a freaking genius!!! I do realize that I've said this before, but he just astounds me every time. Whenever he puts out something new, I am never disappointed! This book made an absolute mess of me. There were times I was laughing out loud hysterically and there were times I was biting my nails in nervousness! 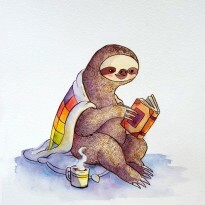 You know how some books are so amazing you just cannot put them down? I've experienced this before, and at times this book brought me to that state. However, one experience this book enlightened me to was where I had to put the book down for a minute or too just to settle down myself. I was hyperventilating! Sanderson continues the tales surrounding Kaladin, Shallan, Dalinar, and the many others. Honestly, if you are thinking about reading this book, you need to read The Way of Kings first. This book would be hard to follow otherwise. It's going to be difficult to explain a little of what happened in this book because it feels like almost everything is a spoiler. Shallan makes it to the Shattered Plains and has some very entertaining dialogue with Kaladin (these were always the parts that made me laugh). They are just matching each other in wit, going back and forth into arguments. Shallan does start out with this causal betrothal to Adolin, which at first I was really excited about. I thought they would be cute together. This "causal" though is kind of like testing out waters. It's not definite. We learn a lot about Shallan's past in this book. This is similar to how we learned about Kaladin's past in The Way of Kings. Some of the epiphanies though that were revealed towards the end, I had guessed. I am proud of myself for that, but I'm sure many others will figure it out quick as well. Shallan also continues to grow as a character. She creates a new identity and kind of becomes a sort of spy. Her intelligence is just amazing. I love her so very much! Kaladin remains my favorite character thus far (though Shallan definitely isn't far behind.) Honestly, at first I was starting to get really angry with him and some of his choices. I do understand why he felt what he felt. He battles the Assassin in White (Szeth) a couple times which turn out to be some incredible fight scenes. Mostly, he's just trying to figure out his new role in the society as he is now placed. He also becomes a strong ally for Dalinar, and it's great that Dalinar will listen to Kaladin and trust his opinions and ideas. Dalinar remained very true to himself throughout this book. He does have many clever moments. He is still trying to obtain his goals that were inspired of his late brother, Gavilar. He truly is a good man, and I find it hard to find much fault in him other than normal human error. What I think I loved the most about this book was that all of our main characters interacted with each other a lot more. The different relationships are all really new and exciting. There is, of course, a lot of everything in this book: magic, philosophy, love, honor, wit, action, mystery, religion, politics. I cannot wait for the next one to come out! Thankfully, I won't have to wait as long as we all had to for this book.